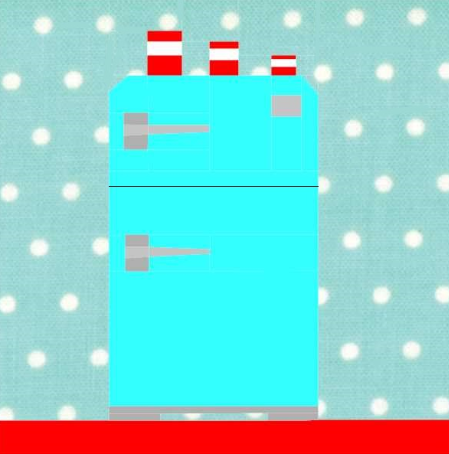 This pattern features a retro refrigerator. It can also be purchased as part of a bundle of 7 vintage kitchen themed patterns (Sew Retro 2) as well as individually. The pattern makes a 10" block.